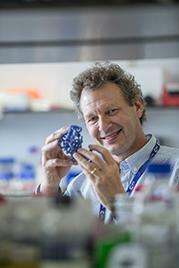 In the week that Cancer Research UK (CRUK) announced their Grand Challenge Awards, Professor Tim Elliott, Professor of Experimental Oncology at the University of Southampton, reflects on how Southampton is well placed to address one of the seven grand challenges. “One of the seven grand challenges is to design preventative vaccines for non-viral cancers. In Southampton we are well placed to address the challenge because we have been working on developing ‘therapeutic’ vaccines for over 20 years. 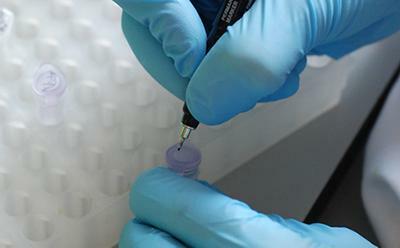 Therapeutic vaccines are used to help treat cancers after they have been diagnosed and have not been as effective in clinical trials as we would have hoped. We have run trials of our own inventions in leukaemia, prostate, and colorectal cancer patients. Part of the reason for their low efficacy is that the body is very good at switching off aggressive immune responses that recognise “self”: which is how non-viral cancers appear to the immune system. This has led to a greater understanding of how switching off actually works and to the development of drugs that interfere with the process (so-called checkpoint inhibitors). “Work in Southampton is currently focussing on making therapeutic vaccines better by combining them with therapeutic antibodies (checkpoint inhibitors). We have a lot of the necessary expertise and skills that will be required to tackle the challenge of making preventative vaccines – things like identifying cancer-associated antigens in pre-cancers; understanding why some anticancer immune responses against tumours work and some don't; and identifying vaccine delivery systems that are optimal for cancer. There is an opportunity for us to work with research partners in Public Health England (currently Porton Down) who are experts in vaccinology.